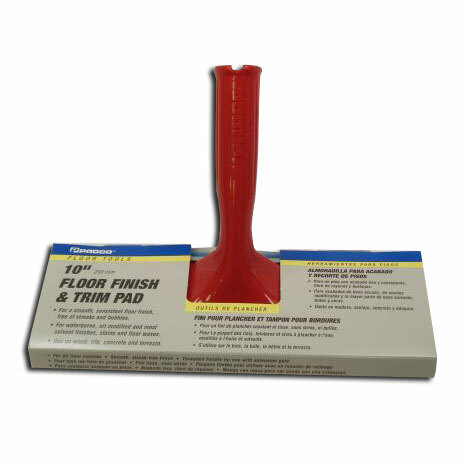 Padco 10" Nylfoam Floor Finish & Trim Pad ideal for applying finish to large areas, edging and cutting in floors. Thousands of Nylfoam fibers hold more finish and spread it faster. • Handle accepts threaded extension poles.